NORCROSS, Ga -- There is a sense of urgency for Gwinnett County Police to find a suspect who robbed a title store, but took his violence one step further by sexually assaulted the female employee. The 62-year old employee was all alone inside the Title Easy store on busy Jimmy Carter Boulevard when the suspect walked in at about 4:30PM on Wednesday. The robbery was captured on the store's surveillance cameras and shows the suspect walking in with a calm, confident demeanor, like he had done it before. PEACHTREE CORNERS, Ga. -- Police said a barber was attacked at a barbershop in Gwinnett County on Thursday. According to Gwinnett County Police, the incident happened at the Mane Priority (MP) Barber Shop at 7050 Jimmy Carter Boulevard in Peachtree Corners around 12:30 p.m. Four barbers were with clients when four to five men ran into the business at attacked one of the barbers. NORCROSS, Ga. -- Police now know the identity of a man found dead in a submerged SUV in Norcross on Thursday. But what is still unknown is exactly how the accident happened. Wednesday morning, Gwinnett County Police identified the victim as 29-year-old Jose James Contreras. The Mexican Consulate helped investigators notify Contreras' family in Mexico of his death. Contreras was not wearing a seat belt at the time of the collision. Meanwhile, the cause of the accident is still under investigation and police do not yet know why the vehicle left the roadway. The exact time frame of the incident is also still being processed. Gwinnett County emergency personnel pulled the submerged vehicle and body from a Norcross, Ga. pond around 8 p.m. Thursday, June 11. Police department officials said the vehicle and body were found off of Oakbrook Parkway near Indian Trail and Lilburn Road. GWINNETT COUNTY, Ga. -- A man accused of stealing a woman's purse at a Gwinnett County Walmart was arrested shortly after committing the crime. John Samuel Simmonds, 25, is charged with robbery by sudden snatching. Witnesses said he grabbed the purse from a customer at the Walmart in the 4900 block of Jimmy Carter Boulevard on June 11. The victim was placing groceries on the check-out conveyor belt when it happened. Two witnesses chased the suspect into the parking lot. They watched him get into a black BMW and speed away. One witness memorized the car's license plate number and gave it to police. The suspect lost his shoes while running from the store. Gwinnett County Police Cpl. Michele Pihera said the shoes were collected and placed into evidence. NORCROSS, Ga. -- Michelle Peck says she suffered from severe dental anxiety for years, and by the time she summoned the courage to seek treatment, her teeth needed extensive work. She trusted Dr. Betty Dillon, whom Peck said gave her calming medications while she was in the chair for her first treatment. "It was three little pills in a paper cup," she said. BREAKING: 11Alive's Kevin Rowson learned at 11:30 Tuesday evening that 16-year-old Kaitlin Crenshaw was found. Gwinnett County Police said Kaitlin's family members were able to contact her through a social media site. Detectives traced her whereabouts to a house in DeKalb County. She was reportedly in good health and has since been reunited with her mother. NORCROSS, Ga. – Authorities are searching for a 16-year-old girl last seen on Sunday. According to Gwinnett County Police, Kaitlin Crenshaw was last seen around 10:30 p.m. Sunday at her home in the Wesley Park apartment complex on Graves Road. 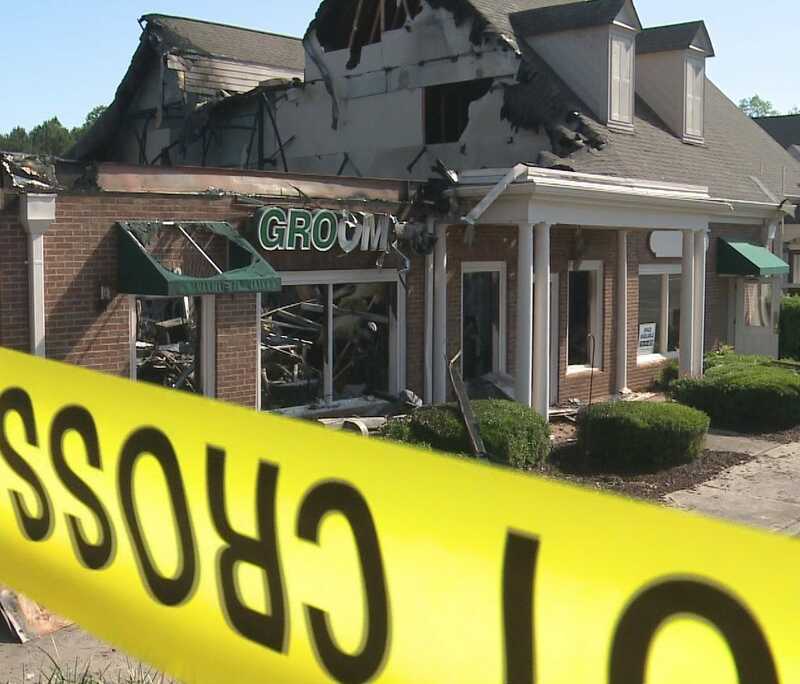 PEACHTREE CORNERS, Ga -- Investigators are working to figure out what caused of a Gwinnett County shopping center to go up in flames. The Friday night fire brought out firefighters from Gwinnett, Roswell and Sandy Springs to keep it from spreading. Witnesses said the fire could be seen from miles away with flames and smoke being seen above the tree line.